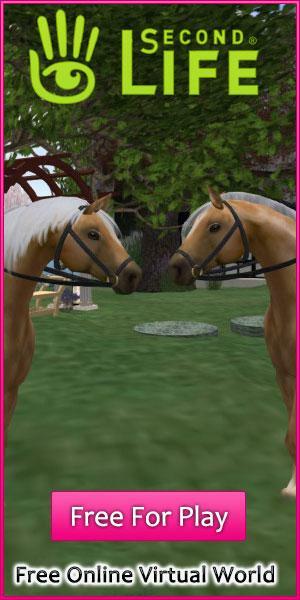 Rate this Article The Star Stable team always listens to their players for suggestions and we have compiled a quite a few of the best suggestions Star Stable players have provided. Star Stable is perhaps one of the most popular horse-themed MMORPG not only because of its amazing gameplay but also because the Star Stable team actually listens to their fans and players. They have been adding in content that players have asked for over the years and well, although they still have quite a bit of backlog to go over, we thought we might make it easier for the Star Stable crew and for you all by writing about what we (as in the players of Star Stable) would like to see in the game in the future. One of the most called for update in Star Stable, particularly from players who have a lot of horses, is definitely the ability to obtain a bigger home stable or at least to upgrade your current one… and guess what? The Star Stable team has heard your wants and is currently working on a bigger home stable as we speak! They have in fact hinted that these bigger stables will be coming soon, so it is pretty safe to say we will finally get what we wished for. Another major feature that quite a number of Star Stable players have suggested is the ability to breed and raise horses. If this happens, it will definitely be a very huge update since the team will not only need to add in the mechanics of breeding virtual horses and the foal’s subsequent growth into adulthood; they will also need to add in a rather huge variety of 3D animated models for both colts and fillies. I’m not saying that this is an impossible task, but if the Star Stable team decides to tackle this head-on, we as the players will most certainly need to be very patient before such an update arrives. If the Star Stable team wants to provide a large enough update that will cost slightly less time than creating whole new game mechanics and a ton of new horse models, the players have a very good suggestion in mind – boy characters. Some players have expressed concern that the game isn’t too welcoming to boys due to its lack of boy characters and by providing exactly that, perhaps Star Stable will become a bit more balanced in terms of its player gender ratio. I have to admit – it does sound like a great idea. Not to mention, this is perhaps one of the most wanted feature in Star Stable so far (right after “bigger home stables”). However, creating an entire 3D character model from scratch and completely animating it will take plenty of time as well. Hence, if this is going to be implemented, it will definitely take some time. Of course, let’s not forget about the simpler stuff like adding in more horse varieties for certain breeds like the Lipizzaners, more animated interaction with your horses such as petting them, head collars and halters, and even magical horses like Pegasus and unicorns. There’s also some chatter among players that Star Stable could also implement a Birthday freebie system whereby players are given a small sum of Star Coins on their birthdays as a present. Some players even have the brilliant suggestion of adding more variety to character animation depending on the location the character is in. For instance, if your character is wearing short-sleeves, shorts and flip-flops in a chilly zone such as Dino Valley, the team could add in some animation and codes to make the character shiver now and then. It’s incredible to see the community of players feel invested enough in the game to provide some really amazing ideas. These are merely some of the more common requests from the Star Stable community to the developing team behind the game. Although quite a lot of them are pretty heavy stuff and will definitely require months or even years of development efforts, it would be really nice to finally see some of these brilliant player suggestions turned into reality... at least in the game. So, what do you think? Which of these updates would you absolutely love to see in Star Stable in the future? Give it some thought and do let us know!